About one-half of the states in the United States license auctioneers. Thus, these states take a proactive role in qualifying and governing those who work as auctioneers. Only some of these “license” states require auctioneers to take periodic continuing education (CE) classes. One stark example of our topic today can be explored by comparing (contrasting) two neighbor states — Ohio and Indiana; both have about 3,000 licensed auctioneers. Ohio licenses auctioneers — requiring schooling, an apprentice period and testing. Indiana licenses auctioneers — requiring schooling, (no apprentice period), testing and continuing education. Focusing on post-licensure as an auctioneer, in Indiana an auctioneer must complete periodic (16 hours every 4 years) continuing education. However, in Ohio, there is no such continuing education requirement. This is not to say that Ohio auctioneers don’t benefit from educational opportunities post-lisensure. 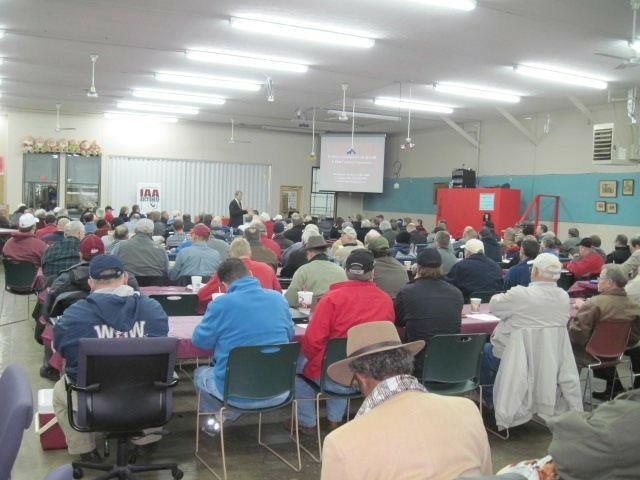 The Ohio Auctioneers Association and the State of Ohio sponsor voluntary classes and seminars. However, so does the Indiana Auctioneers Association offer voluntary classes and seminars for Indiana auctioneers. Thus, the major difference between these two states in this regard is one requires auctioneers to participate in periodic auctioneer continuing education (Indiana) and the other (Ohio) does not. I have taught auctioneer continuing education for Ohio and Indiana auctioneers for over 15 years. The classes in Indiana were predominantly mandatory and the classes in Ohio were almost all voluntary. And, incidentally, these classes were not generally all about Indiana nor Ohio auction law. They were mostly, rather, about the UCC 2-328, ethics, selling guns at auction, auction case law, contracts, bid calling and related issues. The Indiana auctioneer community as a whole is better educated than the auctioneer community in Ohio. And, of course this is the case — as there are auctioneers in Ohio who never attend any classes nor seminars post-licensure — and there are no such auctioneers in Indiana. Mary is sitting down in Columbus, Ohio with auctioneer Ed — who has been an auctioneer 35 years. Ed has never taken any continuing education. The last time Ed sat in a class regarding auctioneering was 1976. Julie is sitting down in Indianapolis, Indiana with auctioneer Bob — who has been an auctioneer 35 years. Bob has taken over 150 hours of continuing education, and most recently completed 16 hours of continuing education last month. Is it reasonable to assume that Julie might be receiving better, more up-to-date services from Bob than Mary is receiving from Ed? In fact, as Ed has apparently been avoiding “continuing education,” is this conclusion even more substantiated? States which license auctioneers claim their role is to, “protect the public.” Therefore, can we say that Indiana is doing a better job protecting the public than Ohio in this regard? Is Julie better protected than Mary? One might argue that both Ohio and Indiana have state agencies which regulate auctioneering — and that both investigate complaints from consumers — so both equally protect the public. However, isn’t it better if the consumer doesn’t have to file a complaint? Is a complaint less likely the better educated the auctioneer? It seems likely. Further, isn’t it better for the auctioneer to avoid a complaint even at the cost of hours of continuing education? I think so. We’re not singling out Ohio other than to make a side-by-side comparison. In the United States, only 13 states (26%) mandate auctioneer continuing education. And, by population, only about 34% of the population in the United States lives in states where auctioneers are required to complete continuing education. All states which require auctioneer continuing education are in the eastern two-thirds of the United States, and nearly all are in the Midwest or east (AL, AR, GA, IL, IN, KY, NC, SC, TN, TX, VA, WV and WI). As we noted in Where are the auctions? these 13 states might represent nearly 70% of the auctions in the United States. So from this data, it appears that generally where there are more auctions — and more auctioneers — there is a greater chance of there being mandatory auctioneer continuing education. Should there be mandatory auctioneer continuing education? It would appear most states with vibrant auction markets believe so, and I think the public benefits from such. Thanks for taking this issue on in a forthright manner. I am licensed in both KY & IN. I agree that IN auctioneers are more likely to be better trained and educated. Coincidentally, KY requires annual relicensure while IN requires it every four years at a significantly lower fee. Is there any correlation between competence and licensure fees or frequency of relicensure? Roger, I’ve not noticed such a correlation. However, taken to an extreme, if licenses expired every 10 years, or 15 years, and CE was only needed at renewal, that may well contribute to a lack of needed “continuous” education?